White Spring granite is quarried in southern Brazil. It has a crystal white bedrock with grey and red mineral deposits scattered throughout the stone. From a distance it can looks grey or light cream rather than white. You can see the mineral veins but not the striking red minerals. With a closer look you can see that the white bedrock is littered with light grey spots. They typically cover more than half of the granite slab. They are usually a medium grey color, but can the grey color can range to a very light grey that almost seems white and creates a very natural and earthy look. 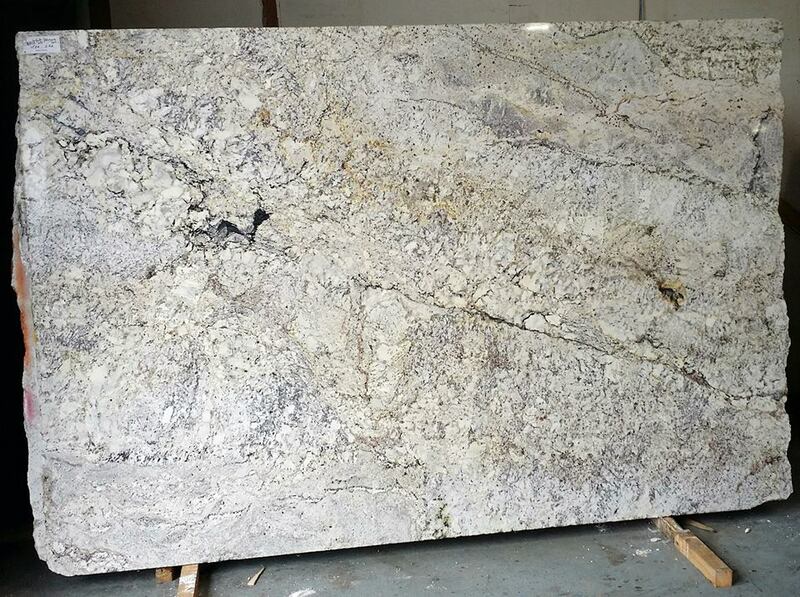 The dominating feature of White Spring granite is its large very dark veins. They can range from just inches to covering the entire stone.This granite also has a stunning assortment of a small amount of red mineral flecks that beautifully adds a touch of color. They can range in color from deep reds to light rose shade. There is an average amount of variation within different slabs of White Spring. The main difference is the amount of dark veins and their size. Some slabs can be covered in them, while others may just have a hint of them. With different lighting, the granite can look very different. In areas without a lot of natural light the grey color can look much deeper and give your countertops a much darker overall appearance, and the grey will seem lighter and brighter in a room with a lot of natural light.